Villa Amanzi is a stunning six bedroom residence with a 15m infinity pool and breathtaking views over the Andaman Sea. 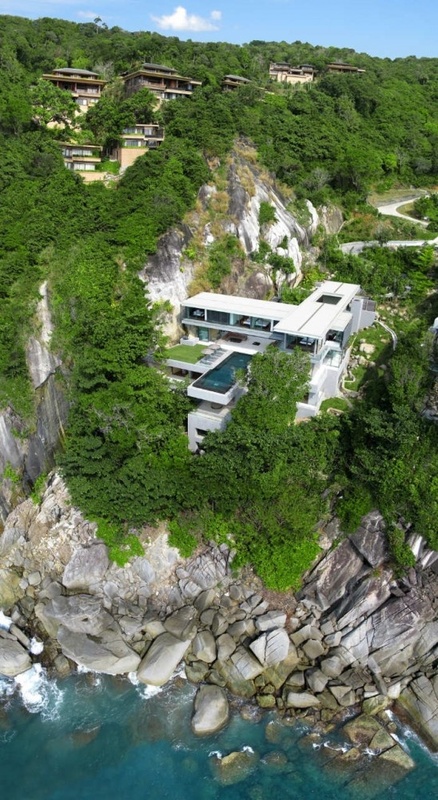 This luxury villa enjoys a spectacular headland location along Kamala’s exclusive Millionaires Mile and captures cool gentle breezes all year round with uninterrupted sea views from every vantage point, in one of the most breathtaking locations Phuket has to offer. The contemporary design features ultra modern architecture and interiors that combine to provide guests with the optimal environment to relax and unwind in unspoilt luxury. Villa Amanzi is managed by luxury resort operator Paresa, offering villa guests the service and standards of a luxury resort within their own exclusive private luxury villa.